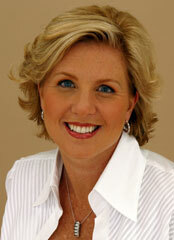 Dr. Debra Gray King received her dental degree at the University of Tennessee at Memphis and graduated in 1987. She has been an accredited member of the American Academy of Cosmetic Dentistry since 1995. She is one of only seven women and 44 dentists worldwide that have also achieved the fellowship status with the AACD. She is a graduate of the Las Vegas Institute of Advanced Dental Studies and has instructed at PAC-Live at the University of the Pacific in San Francisco, The Hornbrook Group and for the Aesthetic Masters where she taught cosmetic dentistry to dentists from across the country. Association, the Georgia Dental Association, the Northern District Dental Society, the Academy of General Dentistry, the Georgia Academy of Cosmetic Dentistry, the American Society for Dental Aesthetics, and the Hinman Dental Society. Dr. King lectures across the country and continues to write numerous articles on cosmetic dentistry for various publications. She is married to Dan King, who is the Chief Operating Officer of the Practice. They have three children, Gray, Griffin and Savannah.